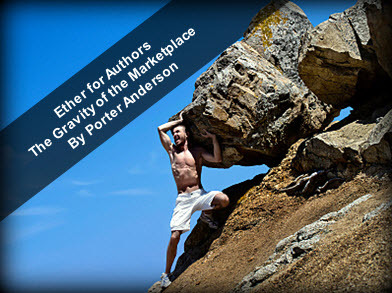 Now, depending on where you stand (or fall, as it were) on the Digital Adoption Spectrum (I made that up, don’t Google it), this development may strike you as a breakthrough or as evidence of things moving too slowly, with entrepreneurial authors becoming steadily more influential in publishing. Yes, in late 2013, a sister mystery-conference to CrimeFest in the Newer World was (correctly) trying to help its audience of writers and readers understand that this digital thing is really happening, folks, better get on the joystick. Ever get that Sisyphus feeling? Me, too. Given the reputation of self-publishing, it is critical that the authors and books chosen are the best of the best, and although your book might be amazing, we cannot accommodate everyone. Standards of professionalism are critical and the following questions will help us in assessment. 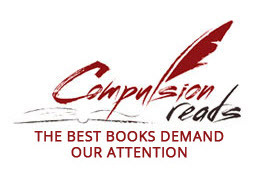 You will be considered if you have had traditionally published books before, but we will favour new authors. This is the kind of vetting a reputable, well-known organization feels it needs to undertake in order to start bringing self-publishing writers into the fold without a sacrifice in quality. While this may feel onerous to a top-notch self-publishing author, it’s also not that hard to understand why an organization may feel it needs to go this route to accommodate the growing entrepreneurial-author element in publishing. In fact, last year, there was quite a discussion, covered in Writing on the Ether, around the International Thriller Writers‘ (ITW) stance on issues of membership and awards eligibility for self-publishing authors. 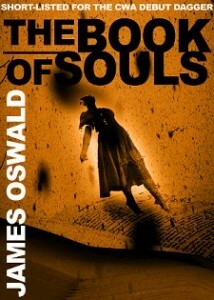 Author James Scott Bell was the first self-published finalist in the ITW’s awards program for his novella One More Lie, even as that organization worked its way through some confusion about the fact that its board was making every effort to consider applications from self-publishers on a case-by-case basis. Such factors as the work itself, the breadth of its marketing, the extent of its distribution, the editorial process, its sales, the author’s personal history, reviews in recognized publications, and any other factor relevant to the particular situation may be considered in making such determination [of eligibility]. Self-published writers are not automatically excluded from being a qualified publisher [for purposes of award submissions], but they bear a higher burden to demonstrate their status. From organization to organization—and in more genres than mystery—such debates are undertaken these days. And it’s not hard to understand both sides of the issue. A long-standing, well regarded association of writers and/or readers in a given market, surely, needs to move prudently, especially when its tradition has been to limit membership and/or awards eligibility to a finite set of “approved” publishers in the field. And, of course, a writer who feels that his or her work is every bit the professionally written and produced equal of books by authors from those approved publishers is likely to resent requirements to prove his or her merit because that work is self-published. But here’s an even more interesting dimension in the evolution of the self-publishing dynamic: what happens when self-pubishers, themselves, begin creating awards and accolades for each other’s (self-published) work? Have self-publishing authors at that point not begun to reflect some patterns of quality-delineation, selectivity…gatekeeping? The question is a worthy one. And it’s on good display right now, thanks to the UK-based Alliance of Independent Authors’ (called “ALLi”) healthy willingness to support serious discussion of such issues. Since ALLi (The Alliance of Independent Authors) began, back at London Book Fair 2012, we have used a reading panel to choose our Monthly Book picks and Book of the Month. Now, in January, we are going to be launching an exciting reader competition [to nominate winners], which we hope will take your books to a much wider readership. 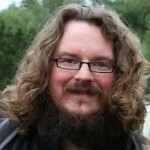 Published a day later, also on the ALLi site, an editorial by Alliance member and author Dan Holloway is headlined Opinion: If Indieland Must Have Gatekeepers. Here is ALLi at its best, really, essentially carrying two viewpoints. Holloway doesn’t directly address the organization’s awards program. But his commentary easily brings to mind common awards efforts in the field and makes it important to ask how to think about a self-publishing community developing and widening its own editions of the prize tradition. 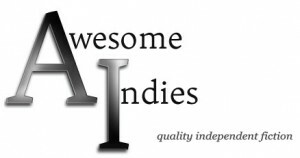 The self-publishing evaluative sites you’ll see Holloway mention are Awesome Indies, which has an “AIA Seal of Excellence” for work deemed “quality independent fiction,” and Compulsion Reads. These sites are the kind of thing some of the organization’s intelligent members have been thinking about. One tells me, off the record, that such sites tend to be too inclusive, bringing “humdrum” standards to the task so that unremarkable material is awarded as quality work; in short, a failure to dependably identify higher quality books. Whatever meteorological metaphor you use to describe the proliferation of self-published titles, if you are a serious-minded self-publisher you will probably be relieved at the growth of websites that promise to sort out the very best from the tsunami/flood/avalanche/deluge of also-rans. Sites like Awesome Indies and Compulsion Reads do what all the best inventions are supposed to do. They have identified a problem (lack of quality control amongst self-published books), and they have solved it. Win for readers. Win for authors. We don’t want to build a mall, we want to build a bustling market full of the myriad sensual treats of the Grand Bazaar in Istanbul. And that means not claiming to single out “the best” as though the best saffron were the same as the best silk hijab. It means celebrating the differences and championing “the best” within each very small section, acknowledging that it will mean different things for each. As happens in so many quarters of the digitally dizzying industry today, Holloway is correct and so are the proponents of awards—at least responsibly administered awards, as ALLi’s are. Do cash register people despise our endless in line smartphone gazing as much as I think they do? 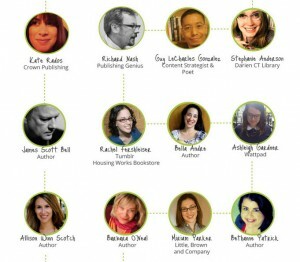 It’s easy to understand the ideal of the independent authors’ movement. Holloway is fielding the same Elysian dreams that have meant so much to, at times, Impressionists, bohemians, Flower Children, the Beat Generation, Bauhaus masters and parkour’s dervishes. The marketplace, however, is less kind to such egalitarian impulses. Not unlike corporations, which love to cite “creativity” as their watchword while stamping out every creative glimmer in the workforce (too disruptive), a wide swath of the consumer base earnestly will swear its allegiance to “trying new things” while actually searching high and low for what’s familiar, comfortable, and safe. The awards, badges, prizes, and giveaways that ALLi is mounting might be seen by some, yes, as a kind of gatekeeping, although the impulse behind them is hardly that. Just about any determination that this apple is better than that apple—or, for Holloway, that this apple is better than that orange—is a judgment call. And making judgment calls is the stuff of gatekeeping. Better sales may accrue to the author whose book has someone’s seal of approval on it. A certain gate has been opened for that writer and not for another. But if the self-publishing community is to mature and present itself in the plaka as a coherent professional wing of publishing, then some criteria of evaluation will need to prevail. Even Holloway’s Grand Bazaar has some merchants rated better than others, some purveyors ranked above their competition, some almonds prized above walnuts. There are interesting parallels in recent writings to these, too. In Living in Paradox, the literary agent Rachelle Gardner looks at the familiar competition between creative and business work so familiar in publishing long before the advent of entrepreneurial digital self-publishing. And author Hugh Howey touches on the frequently heard line “not every book should be published” in his short essay They All Have a Right To. The best part about being a gatekeeper is when you acknowledge that it’s an imaginary gate and some folks just want windmills to punch. As easy as it is to understand Holloway’s desire to see self-publishing avoid the authority manifestation of what he calls “the quantifying teacher,” it’s probably too much to ask. 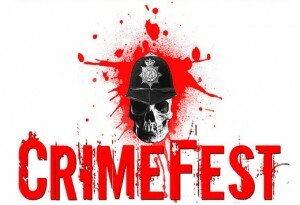 The Bristol CrimeFest administration is not wrong when it says that self-publishers “bear a higher burden to demonstrate their status.” This may not seem fair, but neither is the marketplace. ALLi is right to try to create carefully juried awards with fearlessly high standards, not least to communicate to the wider industry and readership that self-publishing authors are working to raise the bar and to help consumers identify the best. To find the readership it deserves, the independent authors’ community may well have to help its customers with a little gatekeeping. Penguin came along and snapped up the McLean books. Such was the success of the first two, that even before The Hangman’s Song is published, I was made an offer for three more in the series that I really couldn’t decline. 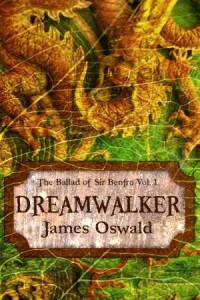 There hasn’t been a week since I self-published the first three books in The Ballad of Sir Benfro when someone hasn’t contacted me through email, Twitter, Facebook or comments here asking when book four, The Broken World, is coming out. My intention last year (was it only last year?) was to finish the third McLean book, The Hangman’s Song, in time for self-publishing in the run-up to Christmas, following which I would get stuck into writing The Broken World for publication this summer. It’s November now, and neither book are available yet. Penguin, it seems, so love my writing that they’re going to publish the whole of The Ballad of Sir Benfro – five books in total – starting next autumn. The deal was announced just as World Fantasy Con opened last weekend. Of course I’m delighted, over the moon, speechless, my gast well and truly flabbered and many, many superlatives to boot. My little dragon, Benfro, who first began to form in my mind almost ten years ago, is going to be published, and by Penguin. Excited doesn’t begin to cover it. But on the other hand, it does mean that all you lovely people who have read the first three books, loved them and come begging for more are going to have to be just a little bit patient. I’m especially glad that our great colleague in Dublin, Eoin Purcell, brought Oswald’s situation to my attention because it’s important at times to remember that this, too, can be what we mean when we talk about “reader connection” and the trials and tribulations that entails. Sure. But we mustn’t forget, there are authors—even farmers amid drop-dead natural scenery—who actually find their biggest problem keeping all their happy readers patient enough when not one but two ongoing series are picked up by major publishers in mid-flight. Read on into the next section here because Oswald has kindly led us (don’t say sheep) handily into a quick mention of “the conference of the week,” if you will, and I want to tell you about it. I really don’t like breaking my promises, and I promised that Benfro book four would be out this Summer. Alas, circumstance has made a liar of me, and for that I really am sorry. On the other hand, Penguin are going to publish Sir Benfro! Squeeee! 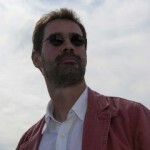 Get Read: Marketing Strategies for Writers, on Wednesday and Thursday (hash it #GetRead), has a roster of more than 30 speakers and its focus is on that author-reader connection you see James Oswald working so carefully to handle in the section above. Later in the conference, I’ll also speak with London’s Roz Morris, who has “about a dozen” books selling more than 500,000 copies each … and her name isn’t on them. She’s a ghost now working to find an audience as a writer under her own name. Guess who’s goin to #GetRead in her jammies? Yep! Can’t wait! And I’ll talk with James Scott Bell in Los Angeles. Call this one “The Eight Faces of Jim”—he’s a hybrid author writing in multiple genres and somehow maintaining readerships for them all. 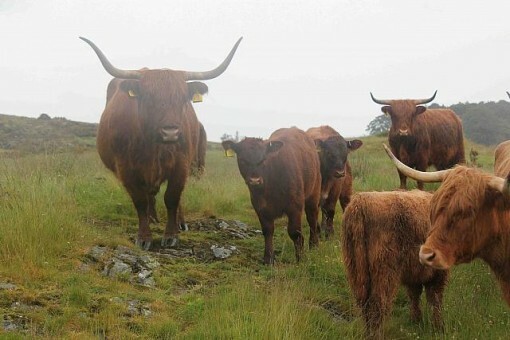 Highland Cattle and New Zealand Romney Sheep may be among his audiences, too, we’ll ask. I have been home from London for maybe 60 hours and I am already plotting how we could go to Australia next year. Touting “the romance of skid rows like San Francisco’s Tenderloin and New York’s Times Square,” Movable Type’s Adam Chromy has announced a relaunch of The Rogue Reader. The agency-curated collective of noir/thriller writers has reached its anniversary and gives us an update on its new season. Our recent Publishing Perspectives focus pieces on the development and first year of operation are: The Agents’ View: A Case Study in Agent-Assisted Publishing; “My Agent By My Side”: An Author’s Assisted Publishing Experience; and A Rogue By Any Other Name: What Was Learned? 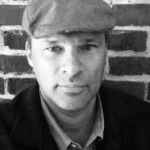 While offering the ebooks of Rogue stalwarts Ro Cuzon and Mark T. Conard at special rates for the month, Chromy has added author Court Haslett to the roster of writers chosen for this assisted self-publishing program, which uses Hugh McGuire’s Pressbooks publishing platform. Haslett’s Tenderloin (A Sleeper Hayes Mystery) is the new entry on the Rogue list, its title referring to the Tenderloin neighborhood in San Francisco. Haslett is also going to be editing the Rogue Reader site, which serves to bolster the group’s work with outside interviews and supplemental material to their books. And Rogue author Don Rearden has had his The Raven’s Gift published by the Penguin Pintail imprint. November 13-14, Online: Get Read – Marketing Strategies for Writers: Dan Blank’s We Grow Media presents this two-day Internet conference for authors, “focused on helping you ensure your books get read.” Speakers are to include Rachelle Gardner, Kristen McLean, Eve Bridburg, Roz Morris, James Scott Bell, Bethanne Patrick, Kate Rados, Rebecca Schinsky, Jeffrey Yamaguchi, Joanna Penn, Ashleigh Gardner, Jason Ashlock, Claire Cook, Elizabeth S. Craig, Jane Friedman, Guy LeCharles Gonzalez, Ami Greko, Rachel Fershleiser, Richard Nash, MJ Rose, Therese Walsh, Chuck Wendig, and more. (Hashtag: #GetRead) Use code “porter” to save on registration. November 21, London: The Bookseller FutureBook Conference: Once again at the Queen Elizabeth II Centre in Westminster, the conference is industry-focused and usually includes both plenary and breakout sessions during the course of the day. Announced speakers include Brad Stone, Charlie Redmayne, Ziyad Marar, Dale Peters, Charlie Campbell, Patrick Brown, Ashleigh Gardner, Frank Chambers, Joanna Penn, Richard Nash, Matthew Cashmore and Stephen Page. (Hashtag: #fbook13) ** See our story at Publishing Perspectives on the shortlisted FutureBook Innovation Awards candidates. Last week to register. 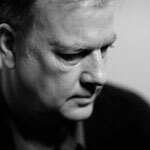 PW‘s reviews director has issued a ban on the words compelling, unique, and poignant in our reviews. When I wrote to my reviewers asking them to avoid these overused terms, they had some creative replies. 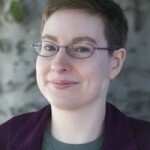 Rose Fox is the editor of science fiction, fantasy, horror, romance, and erotica reviews with Publishers Weekly. In Uniquely Compelling and Poignant, she quickly goes over the kind of reception reviewers have had to the news that three of literary criticism’s favorite words have been tossed. And another reviewer might just have made PW’s management think twice about nixing any words at all. Maybe I’ll just switch to various smiley faces.